Pittides continued, “Third, I didn’t want to focus on Erik himself. I believe the story didn’t focus on him as much as it did Christine. Christine was the key to everything, his love, his rage, and his eventually downfall. And on her side, she had to endure so much and did what she had to do for love. I took the mirror as central theme and wanted to portray a feeling of dread, beauty and sadness. 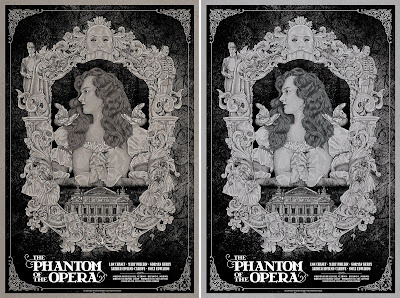 I hope this comes across.” The Phantom of the Opera by Timothy Pittides will be available in two editions. 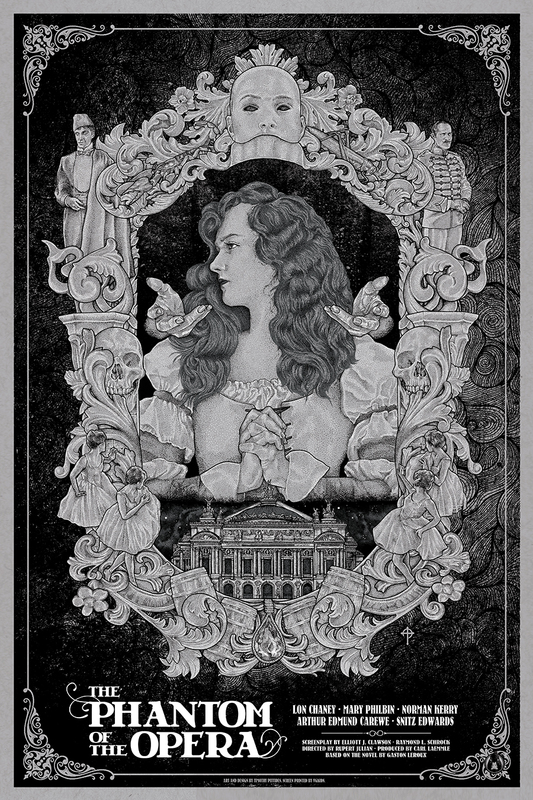 The Standard Edition is a 3 screen print on Packing Chip Kraft-Tone, is limited to 125 pieces and will retail for $40. 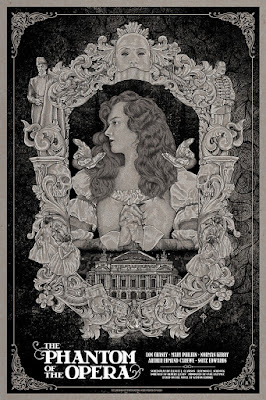 The Metallic Variant is a 3 color screen print featuring metallic nickel ink on reich shimmer metallic silver paper, is limited to just 45 pieces and will retail for $50. 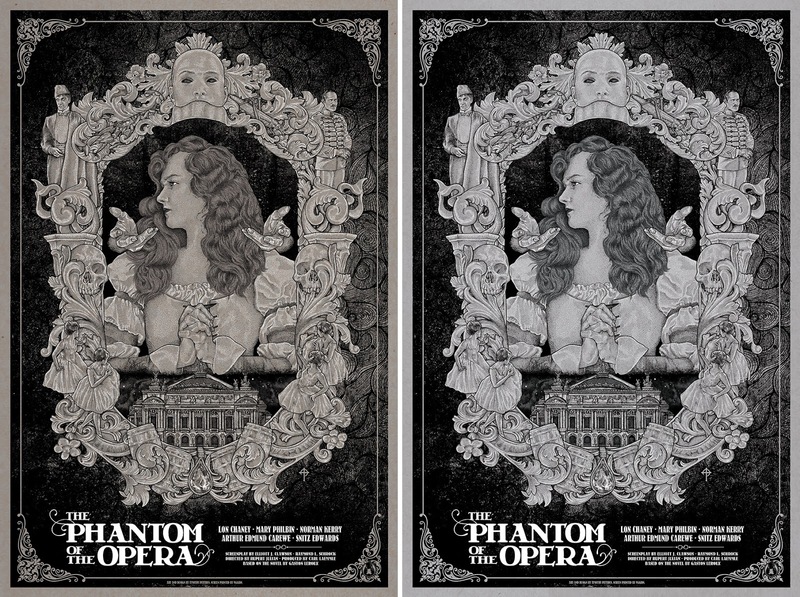 Both colorways will go on sale at 12pm EST this Wednesday, January 25th, at the Mad Duck Posters online store.